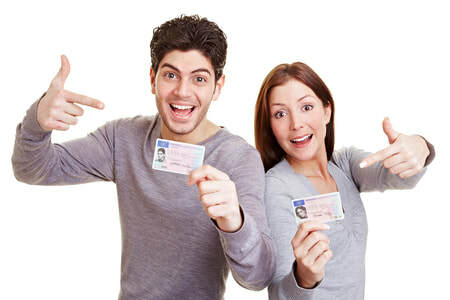 Let us do more than you expect to help you pass & get that coveted driving license. You will most likely want to tell everyone you know! ​Your interest in Winnipeg Driving School is greatly appreciated. We are experts in the field of driving instruction and we intend to give you the best service possible. Learning to drive will be easy and enjoyable with us. We have teachers and instructors who know the ins and outs of the road rules and driving techniques, all of whom are trained, insured and certified. We trust them to represent our company, you to can trust them to instruct and teach you everything you need to know to accomplish this course. We have friendly, courteous, and well-trained driving instructors. Our instructors are trained in the most modern techniques of instructing and are licensed by the province of Manitoba. Winnipeg Driving School has been licensed by the province of Manitoba and city of Winnipeg. All vehicles have been inspected for safety and are bonded and insured by certified insurance companies. We use late model vehicles for all driving lesson. Our vehicle are dual control with a secondary braking system for the instructor. We offer both drivers education and training for students under the age of eighteen. Driver’s education can either be taken in the classroom or online. After driver’s education, the student will take his/her written test at an MPI location of their choosing. Once the learner’s permit is obtained, the student is required to take take part in driver’s training with a certified instructor. We also offer driving lessons for adults who are beginning or who just need some more practice to build up his/her confidence. Our courses offer the basic training in the fundamentals of driving skills, knowledge of driving strategically in traffic, a review of basic laws and rules of driving, as well as instruction in freeway driving and emergencies. We provide impeccable driving lessons Winnipeg beginners can learn from and adults looking for a brush up can receive.